Configuration, furniture, and theme are your main concerns; It's easy to build, too. There are a lot of different creative ideas to upgrade or repurpose a room in the average home that could provide convenience, enhance family time, increase storage or add a level of value by accomplishing a specialized goal. 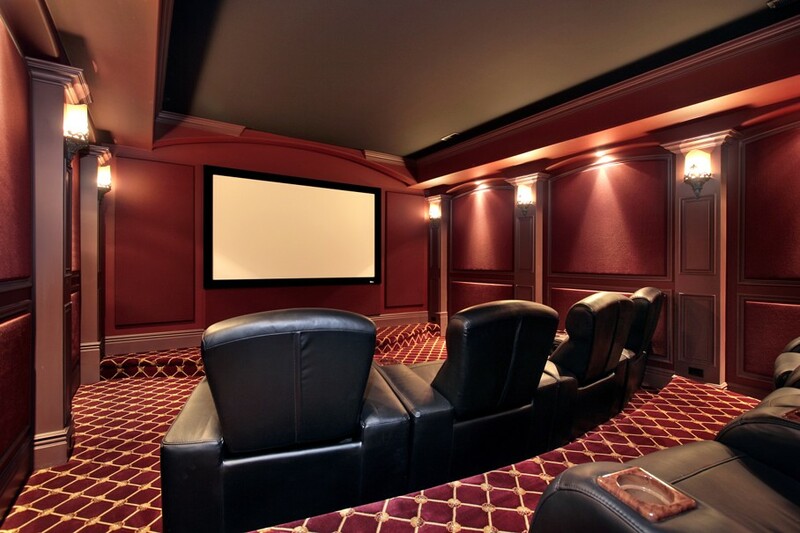 But of all the different dream rooms that homeowners fantasize about having, a home theater just might top the list. 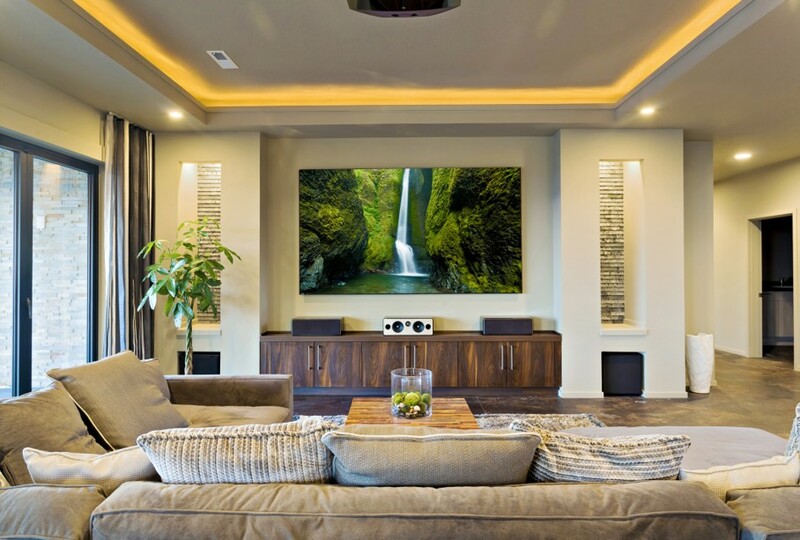 A home theater can be the perfect movie-watching, game-day, entertainment oasis for the entire family, and once you decide to take on a DIY home theater project, the possibilities become endless. The sky is the limit (and maybe the budget too) – so let your imagination run wild and have fun dreaming up your new spot for unwinding, relaxing or cheering on your favorite team. 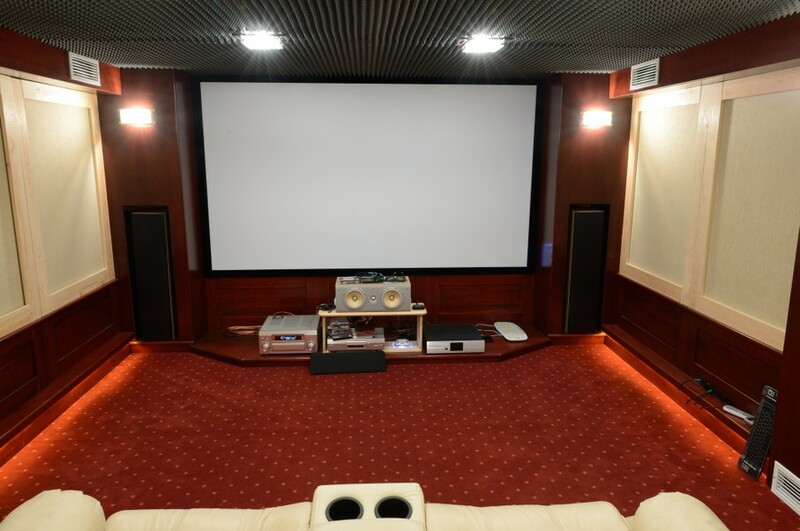 If you consider the building of a home theater of your own, there are a few things to think about that might help guide you through your planning and execution. How you tackle the design and layout of your home theater really depends on who will use it and what you want it to accomplish. If your idea of the perfect home theater is a place to host movie nights for friends, neighbors, your kids, and their friends, or any number of people all at once, then you may end up wanting tiered seating that exclusively faces the screen. If your home theater is going to be your spot for a family night or quality time, you’ll probably want a seating that groups people together and allows individuals to see and talk to each other, such as an L-shaped or curved couch and a few bean bag chairs. If your home theater is going to be for watching Monday Night Football with your buddies, then you’ll want places for everyone to keep their drinks and nachos. Once you have a better idea of who will most often use your home theater and for what purpose, you’re ready to decide on a layout and an overall theme. If the movie-watching experience is central to your purpose for a home theater, you may want to consider a Greek-style, tiered seating plan. While it’s a bit much to go into here, building a tiered platform or series of platforms to elevate rows of seating for optimal viewing is a pretty simple project that will just require a little bit of time on your part. You can use refurbished theater chairs or a series of side-by-side recliners to provide comfortable seating for a number of people. At any rate, we recommend cup holders for your viewers. If you’re looking for a more communal experience in your home theater, your layout will more likely incorporate couches and alternative forms of seating that provide an inclusive feel for each member of your group or family. 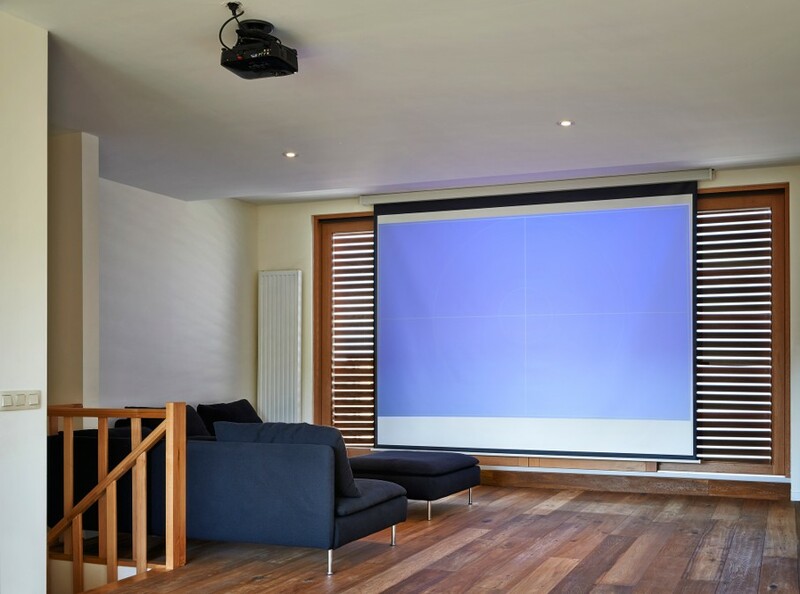 Other issues to consider include the size of your screen, the ability to mount a projector, and ideal positioning for surround sound speakers. Make sure you brainstorm a number of options before you make any committed purchases. Choosing a theme for your room doesn’t have to be gimmicky, but it can be! Because your home theater is something of a novelty room that will likely be closed off from the rest of the house, you can really let your imagination run wild. If you’re going for the classic movie theater feel, you may want to consider warm, rich colors that won’t reflect too much light, and think about installing a dimmer for your lighting. You might even shop online or at an antique store for some great classic film posters or choose to include curtains to complete the look. If you’re planning on camping out in your new cave for most of your team’s season, go ahead and hang some MVP and championship posters up to set the tone. Hopefully, some of these thoughts have helped you to narrow down your ideas for a home theater that’s customized for you and your family. 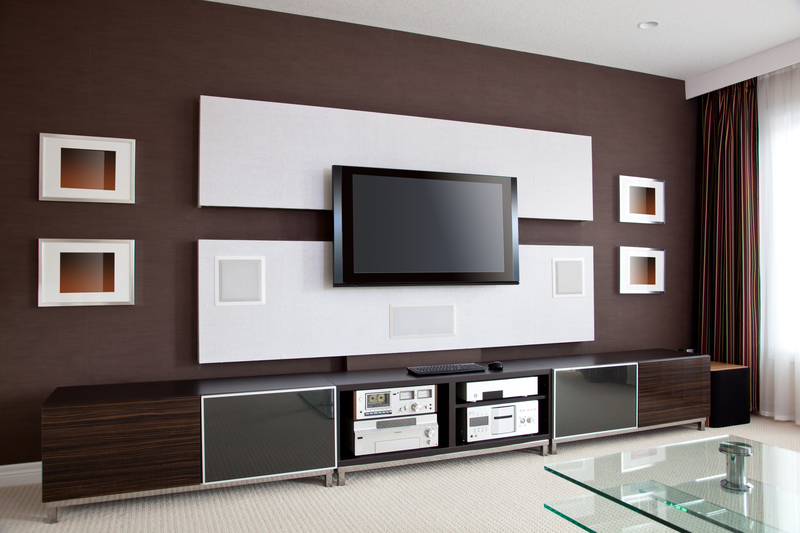 Have some helpful tips of your own for the concept phase of home theater building? Let us know in the comments below!